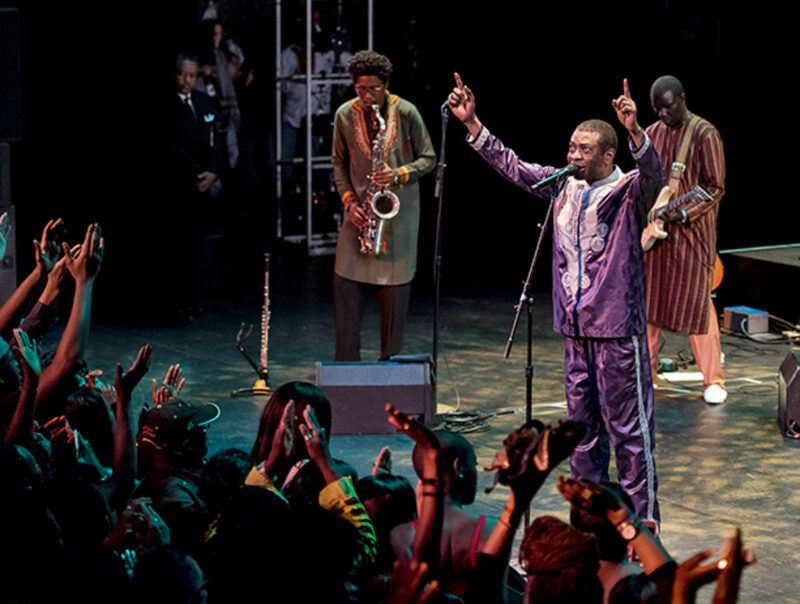 Youssou NDOUR graces the stage of the BAM Howard Gilman Opera House, joined by his band the Super Étoile de Dakar. With a soaring tenor that brims with passion and nuance, the Dakar-born singer-songwriter is a global music icon and tireless cultural ambassador. An early emissary of the mbalax style—a blend of bubbling Senegalese griot percussion, Wolof lyrics, and Afro-Cuban influences—he has gone on to become one of the most revered figures on the world stage.